Home > US Sports > NFL > Bye Bye Birdie! A special edition of Thursday Night Football took place on Saturday Night December 20,2014. They were two games. The first game, the Philadelphia Eagles took on the Washington Redskins in the capital. A team surging for a playoff spot met up with a team who is below.500 still struggling to find their franchise quarterback. The Eagles this year are undefeated against teams with a below .500 record. After losing to the Dallas Cowboys in the previous week this was a must win game; because even with a loss they can still make the playoffs but with help. One of the only ways is they need the Cowboys to lose their next two games but the Eagles must win their last game of the season. With this loss the eagles are 9-6 and the cowboys are 10-4 heading into Sunday to play the Indianapolis Colts who are 10-4. The Colts are winning but struggling to win while the Cowboys continue to push and find a way to win. The Eagles need the Cowboys to lose on Sunday in order stay in the playoff hunt. Their chances are very slim right now. One reason why is the Cowboys have 10 wins in a season since 2009. This game tonight was close all the way. The Redskins won on a game deciding field goal. The Eagles won statistically on paper in about almost every category. Where they had trouble was the kicking game and rushing defense. Penalties hurt them as well.Both teams scored three touchdowns yet in different fashions. The Eagles threw while the Redskins ran. Mark Sanchez threw for 374 yards and completed 37/50 passes while the Robert Griffin the third threw for 220 yards and completed 16/23 passes. 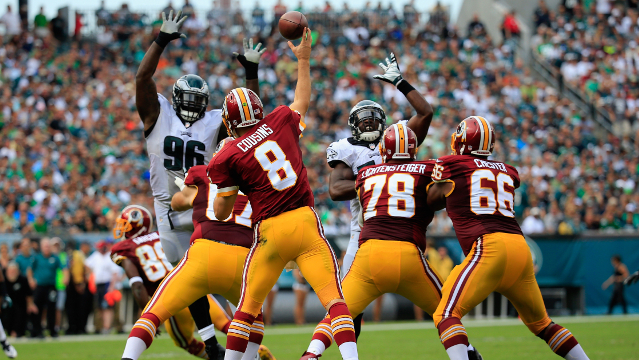 In the rushing game the Eagles scored one touchdown compared to the Redskins three. The Redskins didn’t have any receiving touchdowns. They receivers caught the ball and gave them great field position to punch it in for a score three times. Redskins receivers had 16 receptions fora total of 220 yards; while the eagles receivers 37 receptions for 374 yards. 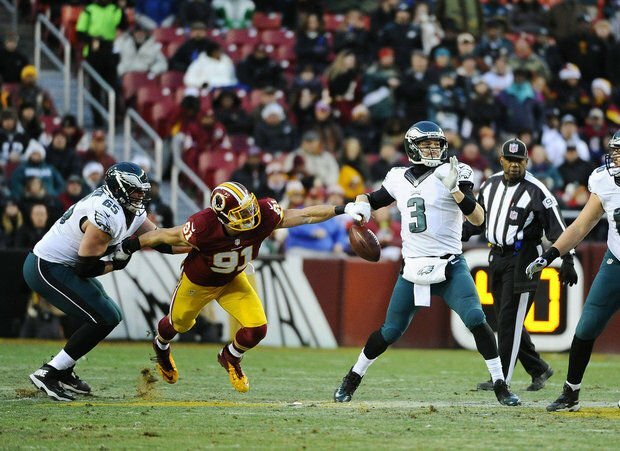 The Eagles even dominated in the rushing game, 31 carries for 134 yards to the redskins 100 yards on 29 carries. Defensively each team forced 1 fumble and 1 interception. The game changer was the missed field goals by rookie Cody Parkey and the made field goals by Kyle Forbath. The kicking game was dominated by the Redskins; one of the two categories they won. Their kicker made 2/2 field goals and 3/3 extra points. The Eagles rookie placekicker completed all of his extra points however he made 1/3 field goals. If he he made both the Eagles would have won the game 30-27. Instead of 2 made field goals he missed them and then Mark Sanchez threw his only interception of the game in the last-minute leading to the Redskins game deciding field goal with the score 27-24 Washington Redskins. Penalties the other game changer affected the Eagles while supporting the Redskins. The Redskins only committed 3 penalties for 15 yards compared to the Eagles 13 penalties for 102 yards. An interesting fact about today’s game is the Eagles ran 3o more plays than the Redskins and had 190 more total yards. The Redskins played with nothing to lose. It looks like RGIII will stay their starting quarterback probably one highlight along with their highlight of the season ruining the Eagles playoff chances and making it more difficult for them to squeeze in. This loss today may have just ended the Eagles season as it did their undefeated record against below.500 teams. With the Cowboys balanced on offense and a No Name defense with a veteran Orlando Scandrick stepping up; a win tomorrow for the Cowboys and they are in the playoffs and the Eagles are Bye Bye!